SOLD - "Down Under" to Maine! CLASSIC COLOR COMBO -- Another Final Production Model (89-91 model years) Woody that is the elegantly rich combo of Dover Grey and Cordovan interior, plus extremely low, actual miles. It's a head turner you don't want to miss! The twin Jeep to our current other Dover Grey listing, this Jeep is also a nearly one owner (original owner up to 2015). 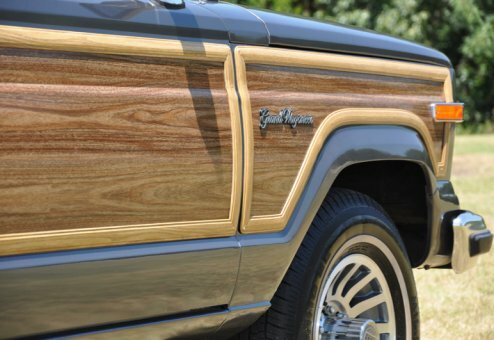 It's a new arrival is set to begin the full Wagoneer World restoration process, so please call or e-mail for more pictures, status and details. This one came to us with original paint, original wood trim & decal, and is a beautiful survivor with low miles. Excellent ownership heritage, and runs strong and smooth.